RANGEFIRE judicial transparency | RANGEfire! This is one of those issues that should quickly become self-evident. Our legal system goes by a number of different names. 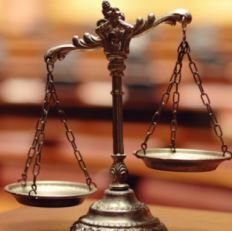 Some call it the “Justice System.” Others call it the “Court System” or the “Judicial System.” Still others refer to it as the “Legal System.” Based on my experience and observations, I often refer to it as the “so-called justice system,” for a variety of reasons. But whatever label is used, there is no question, to the casual, outside observer, our legal system is completely shrouded in secrecy and mystery. It is the functional equivalent of the Holy Bible, printed in Greek and Latin, prior to William Tindale’s English translation, so that normal people could read and understand it. For some time I have been talking about another piece I’m working on about how the federal court system is the epitome of the fox guarding the hen house – especially when it comes to handling cases involving the federal government. One of the basic tenets of natural law is that a party cannot be an impartial arbiter of a dispute in which that party (in this case the federal government) is involved. While this piece addresses broader issues of judicial transparency beyond the federal court system, it seems to coincide with a lot of other information recently reported, including articles about the Nevada Federal Court’s protective order preventing disclosure of almost all information in the “Bundy Standoff” case, and Katie Aguilera’s recent piece in Seeking Redress about the complete lack of transparency in federal plea bargaining. Wouldn’t the public be interested to know that in many federal plea deal arrangements, including virtually all the Oregon Stand-off Plea Deals, there is almost no negotiation. It used to be that such deals were called “plea bargains,” but in this case there is little, if any, bargaining. The defendants have virtually no say in the “take–it-or-leave-it” terms that are offered. The playing field is anything but level. The carrot they are offered is reduced incarceration, if they will expressly admit that they participated in a conspiracy to impede federal officers. If there was some sort of conspiratorial agreement – whatever that means – between some of the parties, I seriously doubt many of the defendants had given the possibility of impeding federal employees a second thought, let alone were aware of the purported terms of any such purported conspiratorial pacts, or specifically intended any such consequences. I have had an opportunity to observe this process up-close and personal and I don’t see how the defendants could not have felt coerced to accept and admit to language and terms that they would have never even considered, let alone agreed to, on a level playing field – all in the name of creating leverage for the government’s case. And the same thing often applies to the flood of “friendly” federal sue-and-settle lawsuits pursued by environmental special interest groups under the Equal Access to Justice Act. They have learned that this process often allows them to profit financially while essentially dictating federal land-use policy, in a process that typically applies public tax dollars to advance private agendas – with a woeful lack of transparency in the negotiation and deal-making process. Other prime examples include both secret FISA Courts, and the entire grand jury process by which indictments are obtained. There is zero transparency. No wonder, as an old saying goes, even ham sandwiches are so susceptible to indictment. But in reality, the secrecy and lack of transparency go much deeper and are a big part of the entire system. In the federal court system protective orders limiting access to information are common place. And in the vast majority of cases, it is the other branches of government which are seeking to keep as much information as possible under wraps. This approach should leave any thinking person seriously scratching their head, and asking questions. While there have arguably been vast improvements in overall governmental transparency over the last several decades, for the most part this does not apply to the court system. The court system is still very antiquated and mysterious – especially when it comes to transparency. Just as an example, many courts will not even allow pictures to be taken in the courtroom, let alone audio or video recording. And they often apply double standards to these restrictions and limitations. Consequently, most people’s perception of what happens in the court system comes from movies and television. Movies like My Cousin Vinnie, and TV series like LA Law and Drop Dead Diva inform their understanding (and have actually also been cited and referred to by supreme court justices). Even most attorneys think the best lawyer they know is Gregory Peck, playing Atticus Finch in To Kill a Mockingbird. In the day and age in which we now live, one of the biggest things that has allowed people who are really interested in such things to become better informed about governmental processes is live-streaming of other governmental functions, including legislative sessions and committee meetings, whether it be Congress, state legislatures, or local municipal and county governments. This contributes substantially to transparency in government, and allows average, “normal” people (who care to about such things) better opportunities to see and better understand how government operates, and what is going on. Why shouldn’t the same concepts apply to the judicial branch? Given the fact that many courts don’t even allow the taking of pictures in the court room – no actual images of anything – while other courts do, what is the policy justification for such rules, and such discrepancies? Back in the day, frontier court trials were major public events. Everyone wanted to see for themselves what was happening. For the most part today court sessions are still considered “public” and are fully accessible to the public, but how many members of the public are in a position to participate in person? Comparatively speaking, there is far less public participation in the system today. 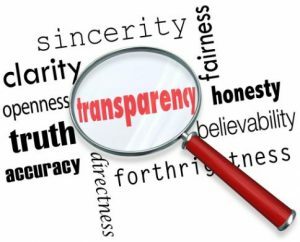 I contend that transparency benefits everyone. 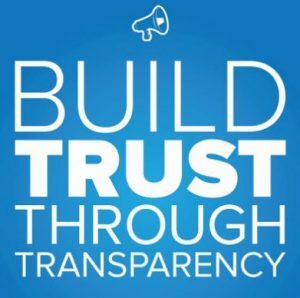 The same principles that apply to law enforcement dash-cams and body cams also apply in the courtroom – transparency enhances understanding and accountability. What can possibly be the reason why the Judicial branch should not be subject to the same concepts and requirements of transparency and accountability? Most court proceedings are already recorded several different ways. One of the recordings is for security purposes. Another entirely different set of recordings is used to help preserve the “record” of the proceeding for possible appeal. When I was recently in a state courtroom observing a jury trial, I counted at least seven cameras – seven. What would be wrong with having one more camera, with a live stream that would allow the public to follow the proceedings, remotely, just like they do with so many other government functions? Obviously, there would be some cost associated with implementing such transparency. And undoubtedly there will be those who say that the cost of transparency is just too high. But what I’m thinking is that if more people had an opportunity to watch and observe the system in action, they could and would suggest a myriad of ways to help stream-line and make the system more efficient and effective. This sort of discussion and suggestion will almost undoubtedly be viewed as unwelcome boat-rocking of the status quo. Something that some may find interesting to know is that the very stiff, stodgy and tradition-bound legal system does not look kindly on boat-rocking. Bar associations and their rules discourage attorneys from saying too much, including criticizing the system and applicable status quo. Seriously, though, while judges and lawyers might resist it, wouldn’t more transparency be in the public’s best interests? Revised Version re-posted from Boiling Frogs Post.